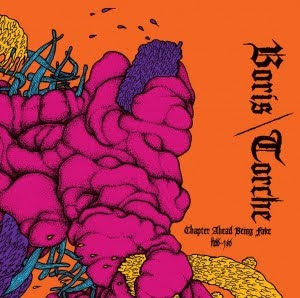 TORCHE: CHAPTER AHEAD BEING FAKE CD/10"
Recorded and mixed by Jon Nuñez at The Dungeon in Miami, FL. Artwork on the Japanese CD by Atsuo (Fangsanalsatan). Artwork on the USA 10" by Aaron Turner.